aww an adorable lamb for easter! How cute and perfectly in theme for Easter! 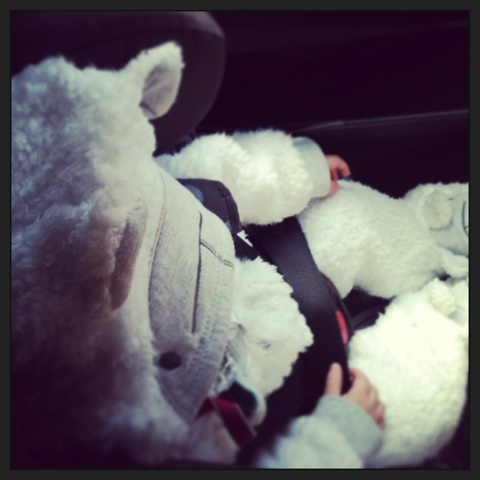 Ahhh, an Easter lamb all tucked up in the car! Happy Easter.